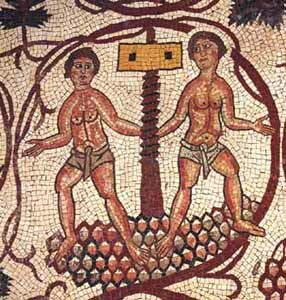 The story of Roman winemaking is by no means a simple one. It spans more than eight centuries of Old World history and a geographic range from southern Scotland to the middle reaches of the Nile. What makes the story so fascinating is how wine is such a clear window into Roman everyday life. The changing nature of wine's trade time-and-again was linked strongly to the tide of Roman politics, and various aspects of its consumption serve as an unsubtle measure of social division, rich versus poor. Remember visit the companion site Roman Wine: Windows on a Lifestyle.